23 by 61 by 67 in. 58.4 by 154.9 by 170.2 cm. 192 by 384 in. 487.7 by 975.4 cm. Mitchell-Innes & Nash is pleased to present our first solo exhibition of Virginia Overton, on view in the Chelsea gallery from March 1 – April 6, 2013. The exhibition will engage the gallery architecture using lumber from trees harvested from Overton’s family farm in Tennessee. Overton has become known for her site-responsive installations and sculptures made with quotidian materials. An ethos of ‘economy’ is an organizing principal in her work; Overton uses principles of simplicity and problem-solving familiar to DIY-ers, farmers and small-time inventors. Her go-to materials are those common in manual trades, as well as those she gathers around exhibition sites and ‘excavates’ from storage. She arranges these materials into phenomenological configurations; bending, pouring, balancing, leaning and ratcheting them into shape. The range of ideas around work seem to figure in any description of what she does, not just in the ubiquitous use of the term to describe art objects, but also in its meanings related to labor or physical strength. But the roughness that might be connoted by work, is always balanced in her art by levity and grace. Virginia Overton was born in Tennessee and lives and works in Brooklyn, New York. She has been included in exhibitions at MoMA PS1, SculptureCenter, and White Columns, New York; and White Flag Projects, St. Louis. Her solo shows have included those at The Kitchen, New York and The Power Station, Dallas, 2012; Freymond-Guth, Zürich, 2011; Dispatch, New York, and N.O. Gallery, Milan, 2010. She has been included in group shows at Blum and Poe, Los Angeles; James Cohan, Mitchell-Innes & Nash, New York; Air de Paris and Ile Seguin in Paris. She currently has a public sculpture on the High Line, New York through August 2013. Upcoming exhibitions include Empire State at the Palazzo delle Esposizioni in Rome this April, curated by Sir Norman Rosenthal and Alex Gartenfeld; and a solo exhibition at Kunsthalle Bern, Switzerland in August 2013. Mitchell-Innes & Nash is delighted to announce the nominations of Rob Pruitt's 2013 Art Awards. 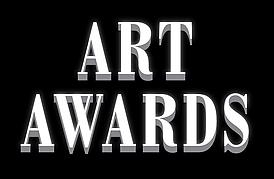 Jay DeFeo, Virginia Overton and Jack Goldstein are nominated for Artist of the Year, Solo Gallery Show of the Year and Solo Museum Show of the Year, respectively. The latest solo show from the sculptor Virginia Overton is spare but satisfying as a sensory experience. “Untitled (juniperus virginiana)” the largest of only two pieces, works visually, then spatially and finally in terms of smell and touch. In a sense, Virginia Overton has filled every single inch of space at Mitchell-Innes & Nash for her sophomore outing there. Entering the New York sculptor’s spare but strong installation, the smell hits you first—the sylvan aroma of the cedar planks that line the back wall. Then you hear gurgling. It sounds a bit like a brook, but it’s an electric coffeemaker, siphoning hot water from a glass pot into an old bathtub.